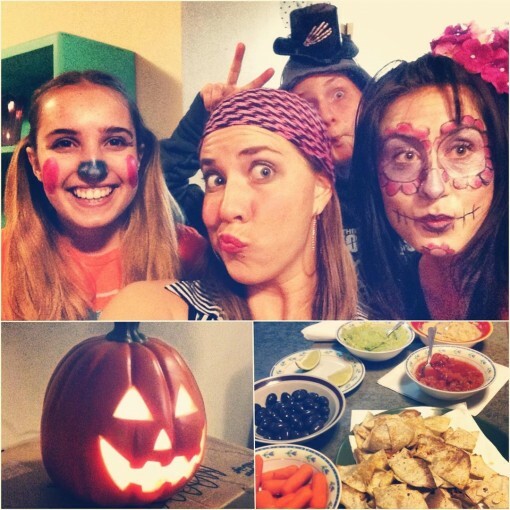 7 Colourful Things was posted on November 11th, 2013 and is filed under Colourful Things. This entry has 11 comments. You can follow any responses through the RSS 2.0 Comment Feed. I love writing this feature – even if I’m just listing a few small things that I’m grateful for…the simple act of writing it down puts me in a place of peace, and a stark realization of how blessed I am. Lately I’ve been waking up with the scripture “His mercies are new every morning” on my lips and my heart. I’m so aware of God’s presence in my life, His protection, and the way He’s guided. While, first and foremost, I’m thankful for my relationship with God, here are some other things that have been pretty awesome. Finally, I’m certified for Group Fitness and Resistance Training! I’ve taught bootcamps last year, but it was something I couldn’t charge for. Now, I can actually get paid for it. Oh yah. I’m pretty excited. I have started to shift my shopping to online. If you plan ahead, it saves a lot of money and you can often get good brands for a steal. I recently became aware of The Outlet – a site for discount shopping. I know I have a thing for blue, but the pics above are a collage I made of my favourite clothes from their site. Their clothes are discounted from around $70-100’s to sometimes $5-30. Whaaaaaa! That’s pretty cool. I’m in love with the blue skirt and the black cardigan (pictured)! They have different brands, including a line called ShapeFX which keeps your silhouette streamlined with a built-in Power Mesh shaping slips and feminine ruching. They’re a new business, so from here on out they’ll just keep getting more product/clothing into their discount store and I’m looking forward to more! This might seem like a silly thing to be thankful for, but honestly, I feel like I’m always in a crazy rush and these “pizzas” are the quickest (and most delicious) meal ever. I just use a base of a low carb tortilla and then add on tomato paste (or pesto), cheese, tomatoes, spinach, veggies, and a little organic beef or some chicken…and we’re good! If I don’t have time to bake it, I just put it in the microwave. Easy peasy. I’ve been working on a Colourful Palate meal planner and while I certainly don’t stick to it all the time, it’s been helpful to at least plan 1-3 dishes I can make on the weekends that I can just use as meals for the rest of the week. It eliminates the stress of “What on earth am I eating and I’m leaving in 5 minutes? !” and helps me be more organized. I have been beyond blessed by the room-mates in our house. Who knew that 5 girls could get along so well (one missing in the pic above)! Not only do we all get along, but they’re the kind of gals that I’m happy to just hang out with! 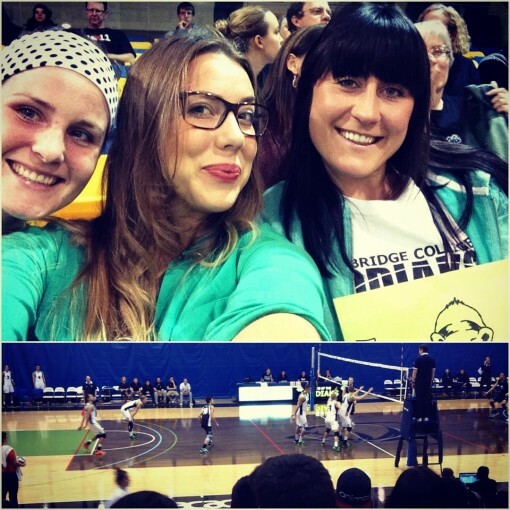 From healthy Halloween movie nights to going to college volleyball games…I really do treasure these girls. It might be weird, but I love grocery shopping. Love it. It’s actually one of the activities that is a stress reliever for me. Who says shopping isn’t therapeutic? I’ve always liked green smoothies, but I found I was adding a lot of sugar to them (whether in the form of honey, bananas, high-sugar fruits), so I’ve started changing my smoothies and making them low carb/low sugar. I think higher sugar smoothies are great before and after a workout, but if it’s just meal replacement I like to stick to low fruit. My newest smoothie favourite is a smoothie made with avocado, cucumber, lime juice, my favourite spirulina, ice, almond milk, vanilla stevia, superfoods, celery, and organic spinach. Sounds blah, but tastes amazing. 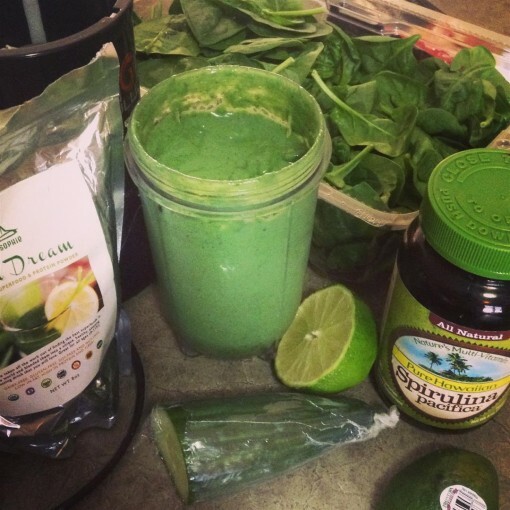 Read why I love spirulina here! Hope you enjoyed my little list of thankfuls! What are you thankful for this week? Do you tend to shop online or in stores? This post is sponsored. Occasionally, I do sponsored posts that fit in with lifestyle or ideas of fitness and health. They help keep this website up and alive – and me from eating just beans and rice every meal of the day. Thankful for Amazon around the holidays. I’d say I do 90% of my shopping that way. I even buy flours, stevia, extracts, etc. that way! I may not love shopping but like you, I love grocery shopping! I love grocery shopping, too! And, everybody thinks I am crazy. But, I love to wander the aisles and explore. Lots of new products usually and I just have a fun time going there and losing myself for an hour or so. I’m another fan of grocery shopping! I like looking for new foods to try. I’ll have to check out that link for shopping. Thanks! Congrats on the certificate! I also do like grocery shopping, even though it sometimes feels like a chore. I just like discovering new products. 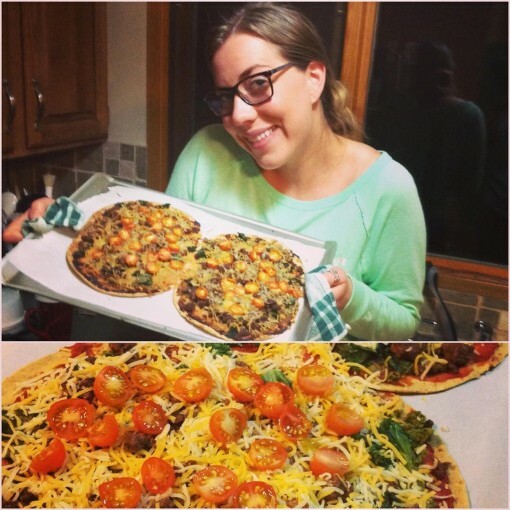 Tortilla pizzas are a regular weeknight dinner for me! Congrats on the certification. I want to attend your trampoline class! That does look like an interesting green smoothie recipe, but much better than the green smoothies that I have had in the past. Just discovered this blog, it looks great. I like that you give so much credit to God, too. Spiritual health is just as important as physical, or mental. I just adore your blog and we are so similar! Hands down grocery shopping us one if my favorite things to do and I love going to multiple stores for a splurge! 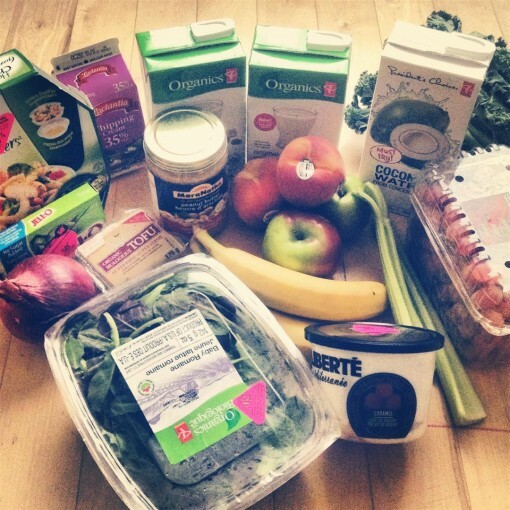 I wish I loved to grocery shop! It’s because I am usually in a rush and don’t have a plan. If I have time to plan meals, it’s more enjoyable.